Not all ghosts are dark and grim; that's just an unfortunate ghost stereotype the dead have to deal with. A lot of ghosts out there are similar to Casper the friendly ghost—they're optimistic and endearing and want to put on a smile on everyone's face instead of making them scream in terror. Here's a little advice: next time you come across one of these phantoms, try befriending them first and see what happens. The happy smile ghost you're looking at right now is one of the friendly phantoms. Hang it in the porch and the pop-open color change ghost will always greet you with an amicable grin or suspend it by the garage and it will wish you farewell whenever you leave for the day. This decoration comes with an 18-inch printed fabric ghost, a hanging frame, a 6-inch color-changing LED lantern and 3-LR44 batteries. 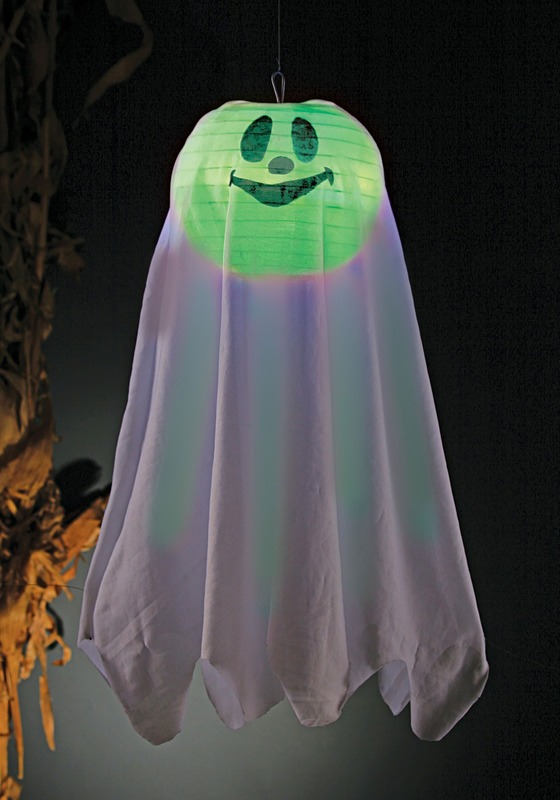 Once assembled, hit the on/off switch and the ghost will start glowing and changing color from blue to green to red. Create a ghostly scene with the help of this light-up decoration. 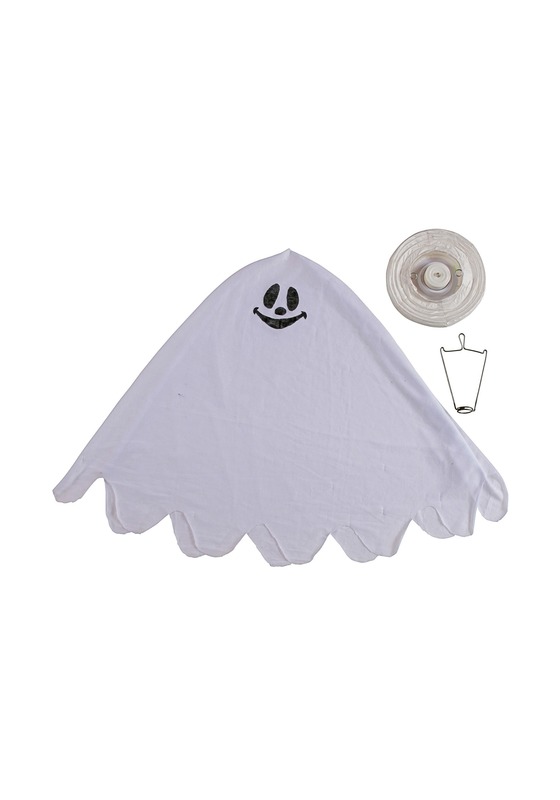 Check out all of our hanging ghost decorations and use them to decorate a tree in your front yard.